I am super excited to introduce you to today’s giveaway from Vintage Printage! vintage black and white tribal - LOVE that! I love them all! My favorites are the chevron with techron personalized and the vintage celtic print! I liked Vintage Printage on Facebook! I liked Chef-in-Training on Facebook! Im a polka dot girl! I would pick the Rainbow Chevron personalized with the pink monogram! It's so cute! Definitely the rainbow Chevron personalized one. LOVE! I also follow you on Facebook. I love all your recipes. Honestly, you're the first blog I've found that has REAL recipes my family would eat and are easy to make! Lifesaver! I am a follower of Big Red Clifford! I liked Chef in Training on Facebook! So many awesome designs to choose from! I would have to go with Chevron personalized Green & yellow! I love the Chevron with Techron!!! I like Vintage Printage on FB! I follow Chef in Training! I'm following Big Red Clifford! Those are super cute. I would chose the Gray Skies case!!! I like Chef in Training on facebook! 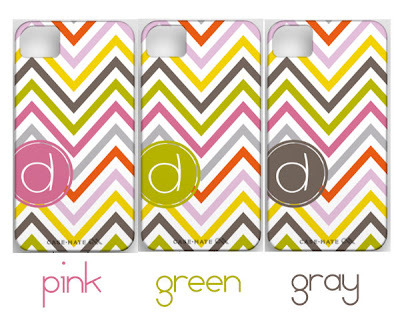 I'd pick the chevron monogrammed case! I love the Vintage Dot Personalized Monogram case. It's amazing! Liked Vintage Printage on Facebook! My favorite? Watermelon Monogram Stripe! I liked Chef in Training on FB. I want the chevron with techron! dear Chef in training...liked Vintage in FB, shared, commented and I would love the celtic in black or the dots with my initials. How 'bout some flamingoes? I and my daughter love vintage, in fact she sings vintage music. I am following you from Rome, Italy! There all so cute but I would choose the vintage stripe snap on case. 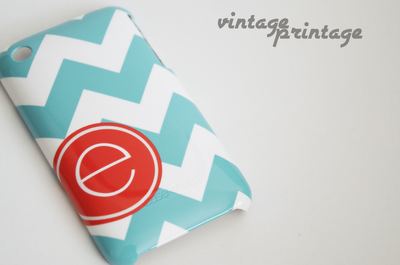 I like the Chevron Techron in green or the teal vintage chevron! I shared this giveaway on my blog @ just-a-few-things@blogspot.com! I shared this giveaway on google+! My favorite cell phone case is the turqoise and orange stripes! My favorite case is the chevron with techron personalized! So cute!! I already like chef-in-training on facebook!! My favorite was the Give a Hoot case. So cute and I love the color! Polka dot name spot, hands down the cutest one. Ok, well that's not true, all are pretty darn cute (like the raibow strip! COME ON) but polka dot name spot would most def. be my first choice. Already a fan of yours on FB. Liked Vintage Printage on FB!! Nikki, please pick me!! 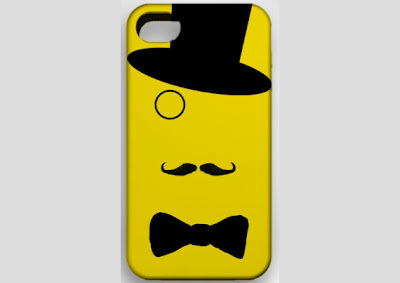 I want one of Meg's cases SO stinkin' bad. I would pick the green and yellow chevron with techron. So cute! I love the Vintage Dot one. I "like" Chef in Training on Facebook. Love the What a Hoot! I am following Big Red Clifford. I am following Chef in training blog. The Vintage dot phone cover is adorable! Those are stellar! I love anything grey and yellow right now! 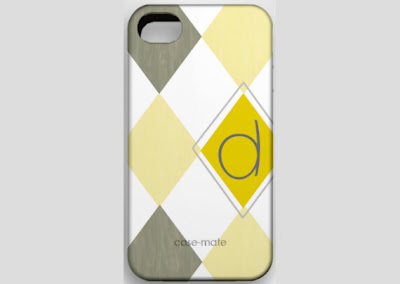 I love the Chevron with Techron Personalized Monogrammed Case - Yellow n Gray! Thanks for the give away! I 'liked' Chef on Training on Facebook. I love the Horizon Tribal case with personalization! I 'liked' Vintage Printage on Facebook. Defninitely the Laverne & Shirley personalised argyle monnogram case... but I love the one featured on your giveaway page even more (with the dark grey diamonds on it as well). Did you know that argyle prints featured on a page in Harper's Bazaar recently? I like Vintage Printage on Facebook! I love the Vintage Black and White Chevron case for an iPhone 4! I liked the Vintage Printage on Facebook. I liked Chef in Training on Facebook. I love the chevron ones or the owl. they are all cute! Gray & White Chevron stripes with a purple monogram, please! I liked vintage printage on facebook too! I love the cases! I would pick the Pink Rainbow Chevron Personalized Monogram, so cute! I follow Chef In Training, and I love it! I love the What a Hoot owl cell phone case!AND I liked chef in training on FB! Oops! I can follow directions, really.I liked chef in training on FB! Hi. I like the black and white celtic the best. I like Chef in Training and Vintage Printage on Face book. 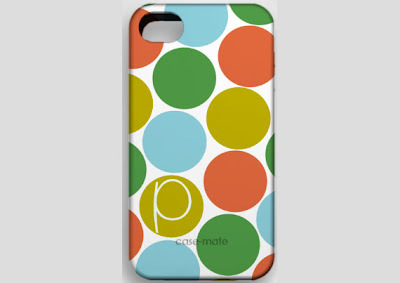 My favorite - Polka Dot Name Spot Turquoise! I have "liked" vintage printers on facebook. I visit your site often - love the recipes - but just became an official "follower"! I posted the give-away on Facebook! Good for 3 entries! I'm not a "linky", I guess - just a regular follower. I "like" Vintage Printage on FB! I "like" Chef In Training on FB! I'm now following big red clifford. I follow Big Red Clifford! I love the girlie girl case!! !